Al-Jazeera, the Pan-Arab news channel that struggled to win space on American cable television, has acquired Current TV, boosting its reach in the U.S. nearly ninefold to about 40 million homes. LOS ANGELES (AP) — Al-Jazeera, the Pan-Arab news channel that struggled to win space on American cable television, has acquired Current TV, boosting its reach in the U.S. nearly ninefold to about 40 million homes. 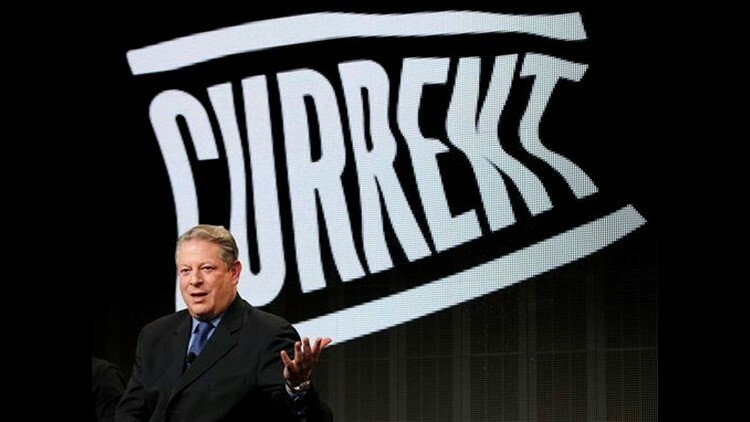 With a focus on U.S. news, it plans to rebrand the left-leaning news network that cofounder Al Gore couldn't make relevant. Al-Jazeera, owned by the government of Qatar, plans to gradually transform Current into a network called Al-Jazeera America by adding five to 10 new U.S. bureaus beyond the five it has now and hiring more journalists. More than half of the content will be U.S. news and the network will have its headquarters in New York, spokesman Stan Collender said. Collender said there are no rules against foreign ownership of a cable channel — unlike the strict rules limiting foreign ownership of free-to-air TV stations. He said the move is based on demand, adding that 40 percent of viewing traffic on Al-Jazeera English's website is from the U.S. Previous to Al-Jazeera's purchase, Current TV was in 60 million homes. It is carried by Comcast Corp., which owned less than a 10 percent stake in Current TV, as well as DirecTV. Neither company announced plans to drop the channel. In 2010, Al-Jazeera English's managing director, Tony Burman, blamed a "very aggressive hostility" from the Bush administration for reluctance among cable and satellite companies to show the network. Even so, Al-Jazeera has garnered respect for its ability to build a serious news product in a short time. In a statement announcing the deal, it touted numerous U.S. journalism awards it received in 2012, including the Robert F. Kennedy Journalism Award Grand Prize and the Scripps Howard Award for Television/Cable In-Depth Reporting. But there may be a culture clash at the network. Dave Marash, a former "Nightline" reporter who worked for Al-Jazeera in Washington, said he left the network in 2008 in part because he sensed an anti-American bias there. Current, meanwhile, began as a groundbreaking effort to promote user-generated content. But it has settled into a more conventional format of political talk television with a liberal bent. Gore worked on-air as an analyst during its recent election night coverage. Its leading personalities are former New York Gov. Elliot Spitzer, former Michigan Gov. Jennifer Granholm and Cenk Uygur, a former political commentator on MSNBC who hosts the show called "The Young Turks." Current signed Keith Olbermann to be its top host in 2011 but his tenure lasted less than a year before it ended in bad blood on both sides. Current has largely been outflanked by MSNBC in its effort be a liberal alternative to the leading cable news network, Fox News Channel. Current hired former CNN Washington bureau chief David Bohrman in 2011 to be its president. Bohrman pushed the network to innovate technologically, with election night coverage that emphasized a conversation over social media. Current TV, founded in 2005 by former vice president Gore and Joel Hyatt, is expected to post $114 million in revenue in 2013, according to research firm SNL Kagan. The firm pegged the network's cash flow at nearly $24 million a year.